On this page are some of the AV activities that have taken place at the Guild over the past twelve months. It cannot however cover everything - so we send out a club newsletter to all who wish to subscribe to receive all the latest news. If you wish to do so click HERE to view all our previous newsletters and to subscribe. The Friday was a workshop/advisory evening, featuring previous award winning Sequences and also work by prospective entrants for future awards.with the Adjudication Panel gave constructive comments on the work shown. 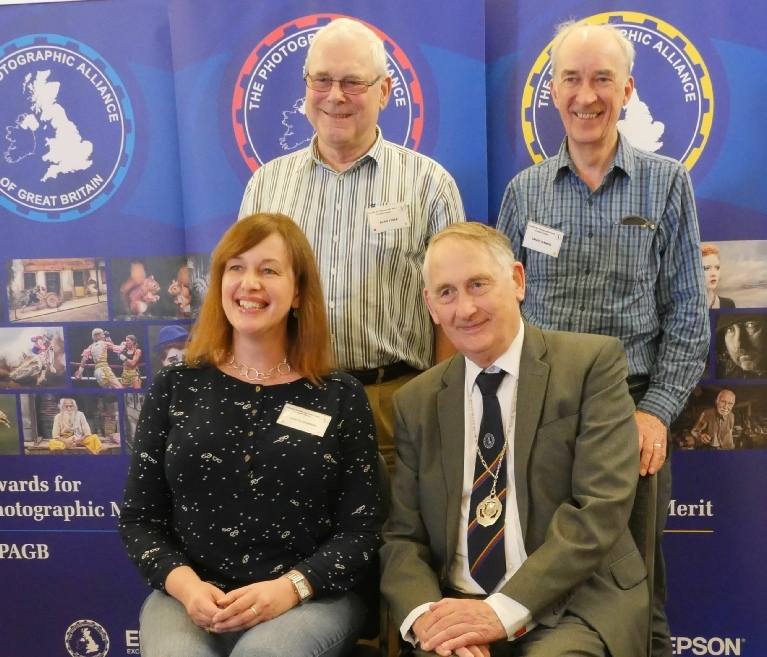 Back L to R - Alastair Taylor, Peter Budd, Gordon Jenkins (PAGB President), Steve Kirkby & Keith Watson. Over the last season we have been holding afternoon workshop sessions for members. These have proved very popular and have enabled our members to receive one-to-one help with any problems they may have had. This meant that we had a record entry for our club Competitions at the end of last season. 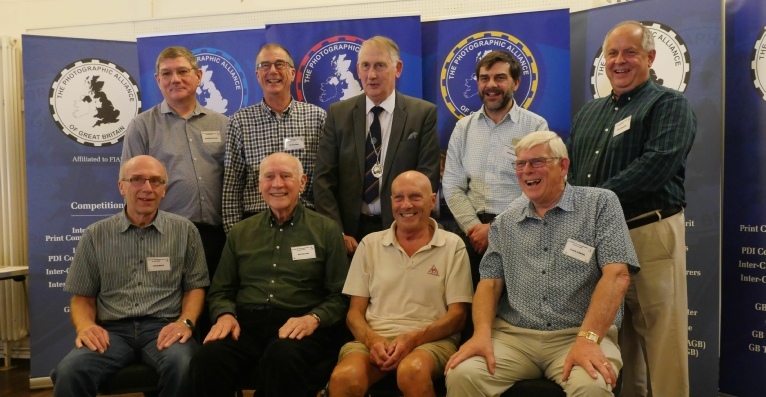 Our new season started on 14th September, with a Welcome Evening for anyone who might be interested in joining the Group. This evening was Free to visitors and they were encouraged to bring along an AV for showing for enjoyment. On the 28th September we had Ron Davies as our guest speaker. 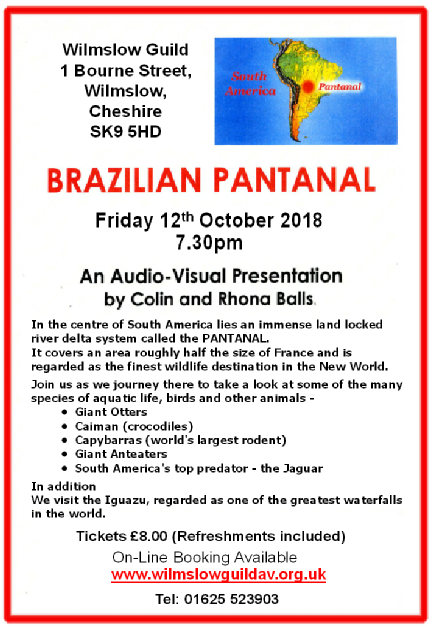 'Brazilian Pantanal' by Colin & Rhona Balls. This was an excellent evening and as it was one of our Friday meetings - it was FREE to members! !